A mix tape release party takes place Saturday at Brewed on Brady Street, 7 p.m. Published March 22, 2019 at 5:29 p.m. Coincidentally, I rewatched "High Fidelity" last week for the first time in a decade and once again got schooled by Rob Gordon (John Cusack) about the subtle art of making a good compilation tape. 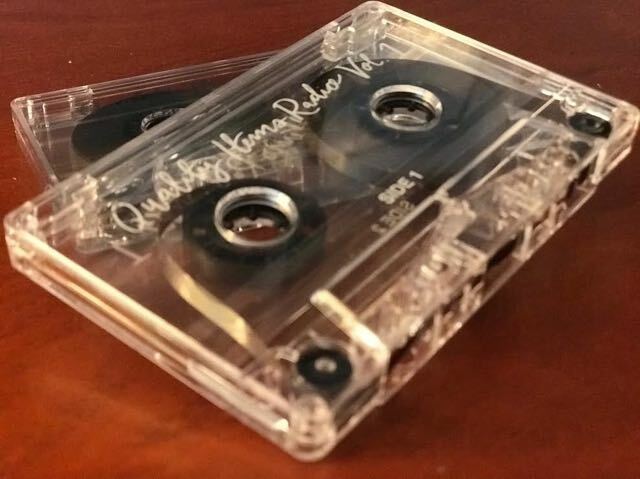 According to Gordon, there are a lot of rules in mixtape making, but luckily, with local musician Eric Blowtorch's two mixtapes – "Quality Items Radio Vol. 1 & 2" – it feels a lot more natural and free-flowing. The carefully curated cassettes – yes, cassettes – feature Blowtorch performing under fake band names with myriad Milwaukee musicians including Andy Noble, Paul Cebar, Don Turner, Jay Tollefson and more. "I'm grateful that so many great musicians stepped up to help us not just finish the project but to make it sound so much more exciting," says Blowtorch. "I can't imagine hearing 'The Ghosts of Stonewall' without Iesha Sturdivant's voice on that aching vocal high harmony." A release party for "Quality Items Radio Vol. 1 & 2" will take place at Brewed Cafe, 1208 E. Brady St., on Saturday, March 23 from 7 to 9 p.m. The event is free. The range of genres on the tapes including rock, soul, funk, jazz and rap, all of which Blowtorch and his group, The Inflammables, have played live for years. "I've been ruining – I mean playing – rock 'n' roll, reggae, rap, funk, soul, and jazzy ballads since about '84," says Blowtorch. "Now you can add bossa nova to the list of EB casualties." The format of the tapes is modeled after real-life radio programs and features DJs Cecilia Matek, Dr. B and Gabriel D'Angel. The three host the show and provide witty and interesting commentary between tracks. "To me, it sounds like it was recorded off the mixing board at the best block party of the summer. The kind of party where people from all over the city – West, Northwest, Northeast, East, Lower East, Walker's Point, Brewers' Hill, Bronzeville, South, Downtown – are invited," says Blowtorch.